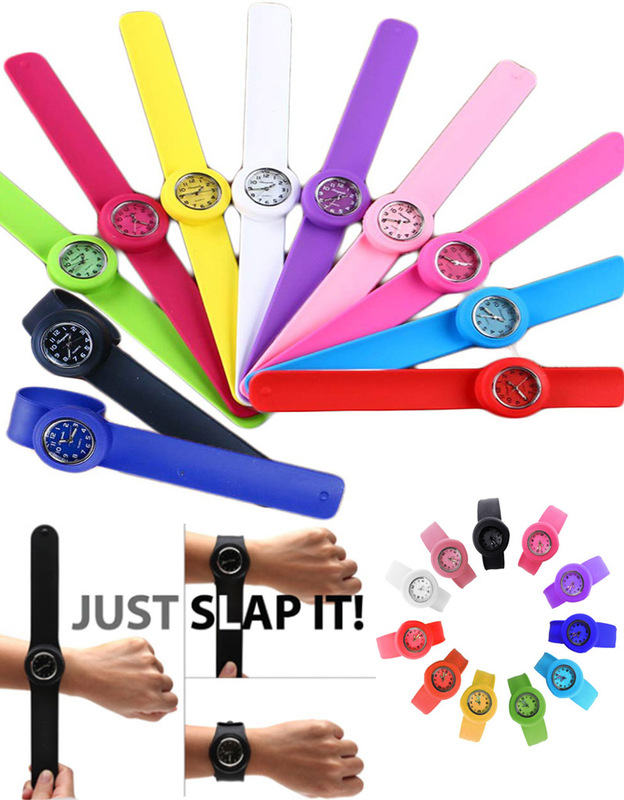 These SLAP ON silicone sports watches are stylish and fun for all ages. The wristband is 100% silicone so you don't have to worry about any metal touching your wrist if you have sensitive skin. Great gift for children and adults alike, fully functional watch. Great idea for athletes or for outdoor exercise routines. Display Type: Analogue. Movement: Quartz, Water Resistant. Replaceable Battery.